The infamous Show-Don’t-Tell mantra fails to take into account the importance of character thoughts. If you purely do action, dialogue and description, you have few tools to let the reader know the character’s inner life. Instead, you need to include thoughts at some point. When a character is thinking about something you can give the reader direct access to those thoughts. Sometimes, you can even leave off the “she thought” part and give it as if the reader is inside the character’s head. These thoughts are in the character’s language and diction, not the narrator’s. Direct thoughts become indirect thoughts when you do two things: change from present to past tense, and change from 1st person to 3rd person. The “she thought” part is still correct, even though it’s an indirect thought. And the language is still in the character’s voice. The reader still understands that the character likes blue best, but the thoughts are more immediate and show the chain of thoughts. 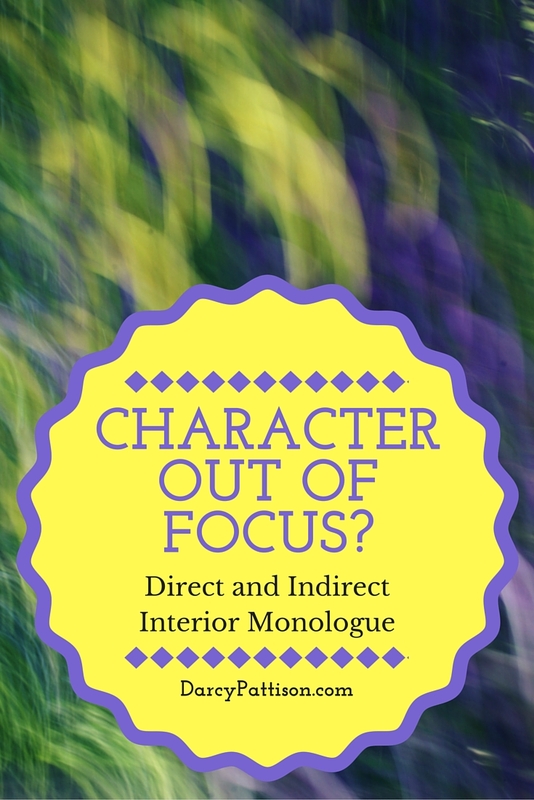 Indirect interior monologue reflects the character’s thoughts, but it still maintains a distance because it’s still narrated, even if it’s narrated by the character. Direct interior monologue delves deeper into a character because the thoughts are presented directly. That is, both techniques are common and are often intermixed within a narrative. It’s not a question of which technique is appropriate. Rather, where do you want the reader to go deeper into the character’s thoughts and emotions? When something painful happens, do you want the reader to experience it fully with direct access to the character’s interior life? Or do you want to shield the reader a bit, and therefore, you’ll create some narrative distance with the indirect method? Do editors often tell you that your characters aren’t coming to life? It may be that you are using the Show-Don’t-Tell strategy too strictly and never present thoughts and emotions of your character. Yes! You need to Show-Don’t-Tell, but if that’s all you use the results are more subtle and it’s easy for a reader to misread thoughts or misunderstand emotion. Indirect and direct interior monologue allow the reader access to those emotions in a deep or deeper way. Let the reader FEEL with your character and the reader will stay with you!